Entrepreneurs are generally pretty imaginative people, but some may need a creative venue and an audience to help them articulate their ideas. 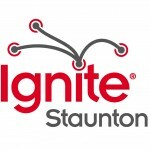 Staunton Creative Community Fund’s (SCCF) recent Ignite Staunton! campaign proved to be the creative outlet that entrepreneur Michael Reeps needed to make his unique business concept a reality. Last fall’s Ignite Staunton!, partly funded by a Virginia Enterprise Initiative grant, was the community’s first “open mic night for creative ideas.” The presenters were given five minutes, 20 slides, which advanced every 15 seconds, whether ready or not, and an opportunity to pitch their most passionate ideas to an audience of friends, family and community members. The fun, fast-paced events were designed to be interactive, allowing audience members an opportunity to provide feedback to Ignite presenters and to vote for a $5,000 People’s Choice Award. Reeps’ idea beat out more than 20 others for the $5,000 award, and he hopes to soon be fully operational with Staunton Fresh, an online farmers market that promises to connect local foods with local people. Other Main Street communities are attracting, developing and retaining entrepreneurs by developing unique business incubators, like Altavista Art and Antiques, providing loans and grants for Main Street pop-up shops, coordinating with nonprofit organizations and government entities to provide micro-loans to Main Street entrepreneurs and starting dialogues about how to best develop entrepreneurs who want to participate in the Main Street market place in nontraditional formats like food trucks. What is your community doing to attract, develop and retain those entrepreneurs who will make your Main Street a truly successful downtown marketplace? Can your Main Street Pass the Walkability Popsicle Test?